CAS @ Seize the Birthday! 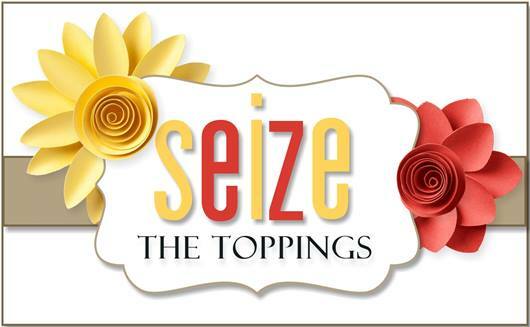 We have an easy topping for you this time around at Seize the Birthday! All you have to do is keep it Clean and Simple! If you need some inspiration to get your mojo flowing come on over and check out what my amazing team came up with! Also remember, our toppings are optional and you can always just make any type of Birthday card! Here are some card details: EF is from Cuttlebug, the Flower is from Stampendous, the scalloped die and tag die are MFT, and the sentiment and oval die are from SU. Beautiful in the black and white. Very pretty in black and white. Love that rose. Wow! Nanc’ this is spectacular!! I love love love it!! I really like the idea of using black & white for your card – it’s beautiful! I have to say that I really love this theme for our challenge and I think it should be one that we use every year. In my case, it pushed me to go out of my comfort zone. I love the look that you designed here. Leaving that rose front and center and using the embossing folder to frame it. Super cool! 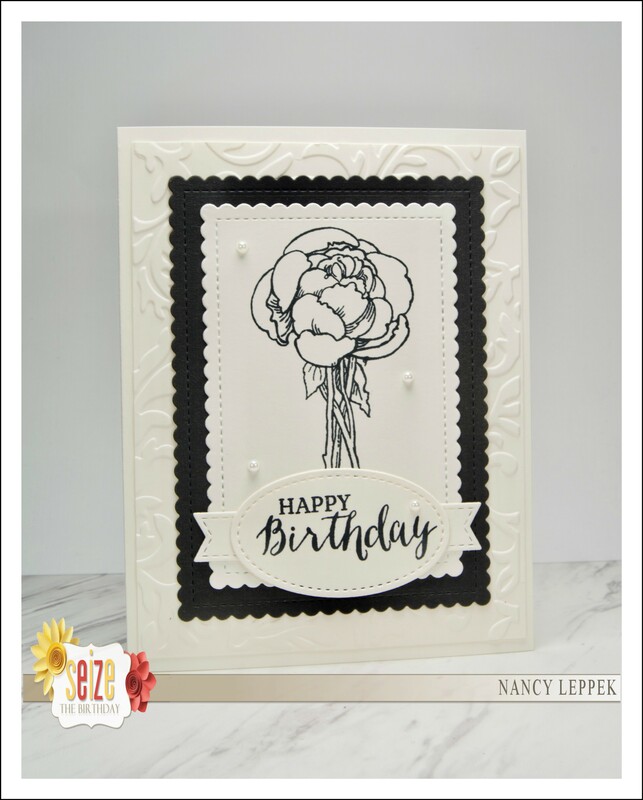 What an elegant black and white card, Nancy! The bit of embossed background along with the scalloped black piece draws your eye to the flower! Wonderful design! Nancy, this is just stunning! Even with all these layers, the appearance is CAS because of your black and white color scheme. Now I want to make a black and white card, too! How beautiful!!! Even with the layers you added it looks so super clean and elegant, Nancy! An amazing design! So CAS, yet loads of interesting textures and layers, Nancy – love it! Absolutely gorgeous card! So striking.